Circle Baby Quilt Experiment- Completed! Well my circle baby quilt experiment is complete! And, I’ve finally broken my streak of teal, white and red in my quilts. Although you’ll notice I still couldn’t resist throwing in one little pop of red. I love the way the circles look on the linen. But I wasn’t prepared for them to get all puffy after the wash and dry…. it’s not totally ruining it for me, but it’s kind of a disappointing detail. 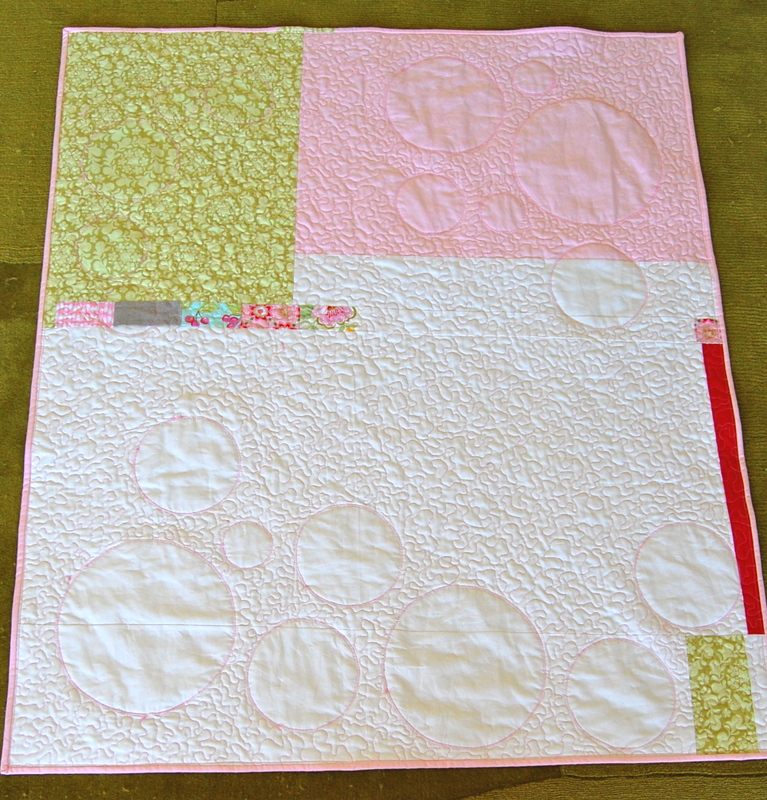 For this quilt I chose to adhere the circles, with the iron on interfacing, then FMQ the linen around the circles. Then I zig-zag stitched with the walking foot around each circle. So when each circle was finished, not only was I quite relieved, I was super happy with the results. I loved the way it looked on the back too. Over all I was loving this quilt and so happy that my idea to turn this idea into a quilt by just tweaking a few things, was working!!! Then I put my new creation in for a good wash and dry. Usually I love the way it crinkles up and has that “quilty” just washed goodness. This time, I’m not so sure it’s working in my favor. I don’t know if I should just leave the circles as is- puffy and cloud like (am I reaching or what? 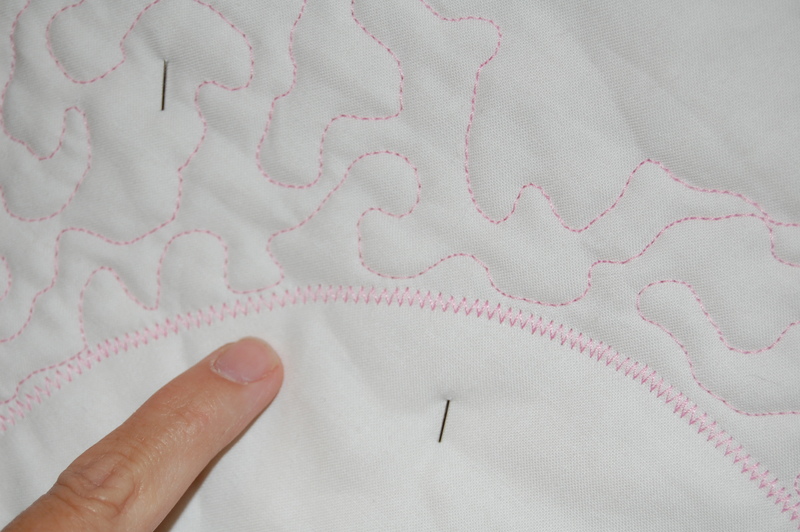 ), or if I should try quilting them down in some clever way to make for a cleaner look. I mean it is a baby quilt after all right? Maybe she’ll really like that “airy” quality??!! At least the linen turned out to be super soft and cozy; something I wasn’t sure about at first. In the end, I’m glad I tried this from start to finish. I learned some new techniques, how I might do them differently if there is a next time and that it’s fun using girly, floral prints! Even though I’m not totally cured of my addiction to teal, red and white. Divine Inspiration!! 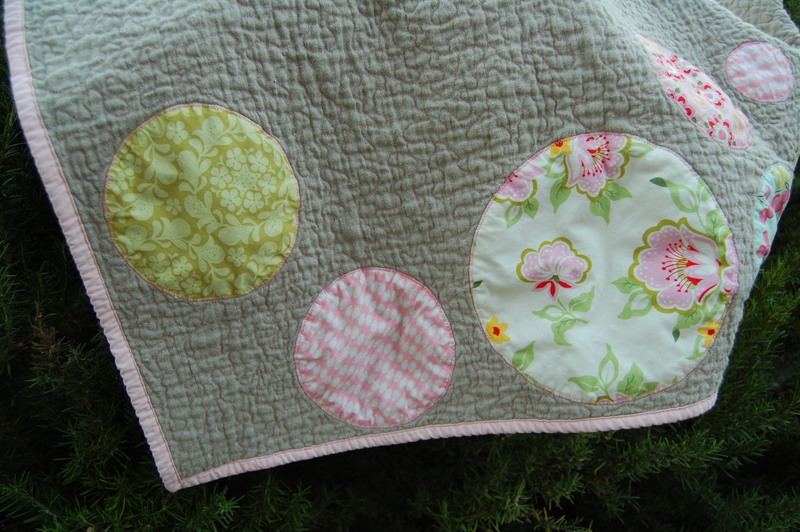 Any baby or mom will LOVE this unique, soft-circled quilt. I vote to leave the cloud-like circles the way they are. I love the composition, the way the circles, circle around the edges. One of a kind–uniquely you. Leave it just the way it is. Baby will love its softness. You probably started a whole new trend!!! Love the pop of color on the linen! Thank so much for the comment. 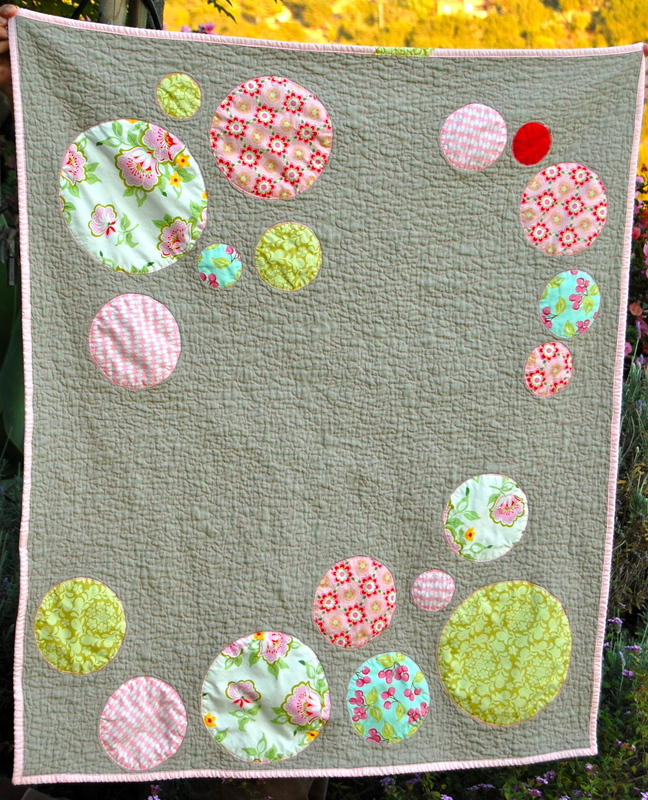 I actually quilted the linen BEFORE I did the circles though. I think maybe the way the circle were created allowed for more space “inside” of them. Not sure, but either way, I’m glad you like it. Hopefully the family it’s going to will have the same appreciation-:-)!!! Thanks again! I like the puffy circles … for the small ones. 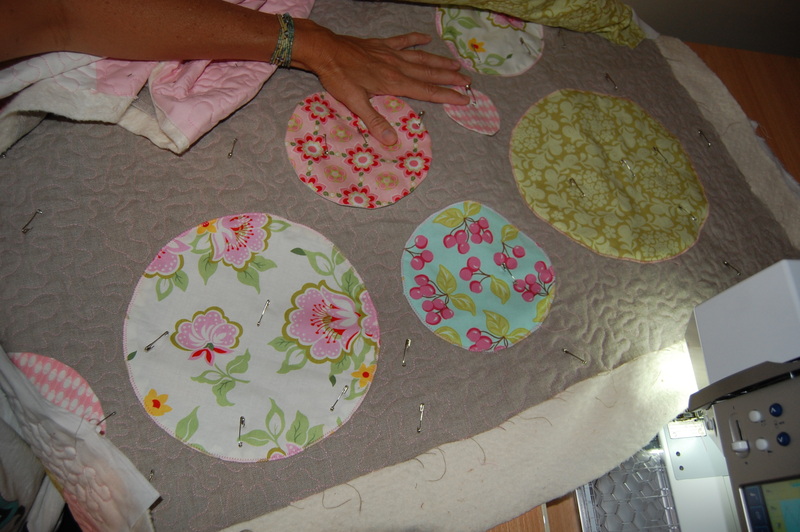 On the big ones, it looks a bit unfinished and like there’s too much space between the quilting. 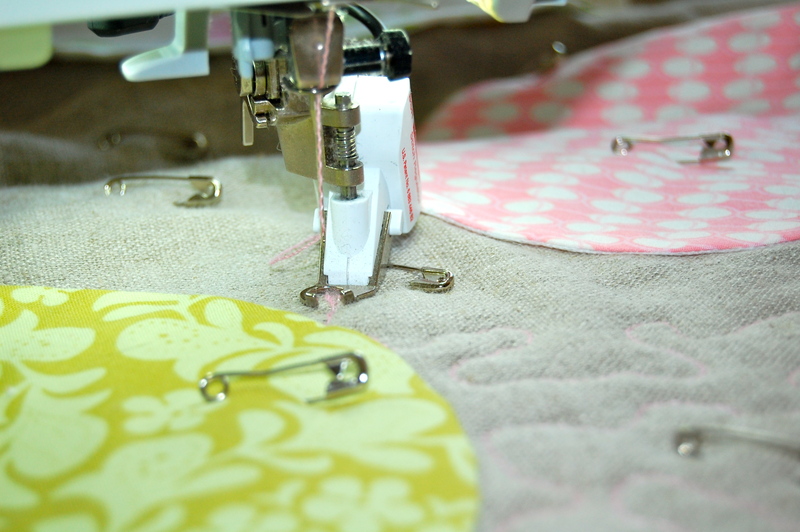 How about doing a fleece flower sewn in the middle – adds some texture and can just be tacked in the center leaving the petals free. It’s always interesting to look back at what we wish we’d done differently! That is a Great idea!! Thanks!! 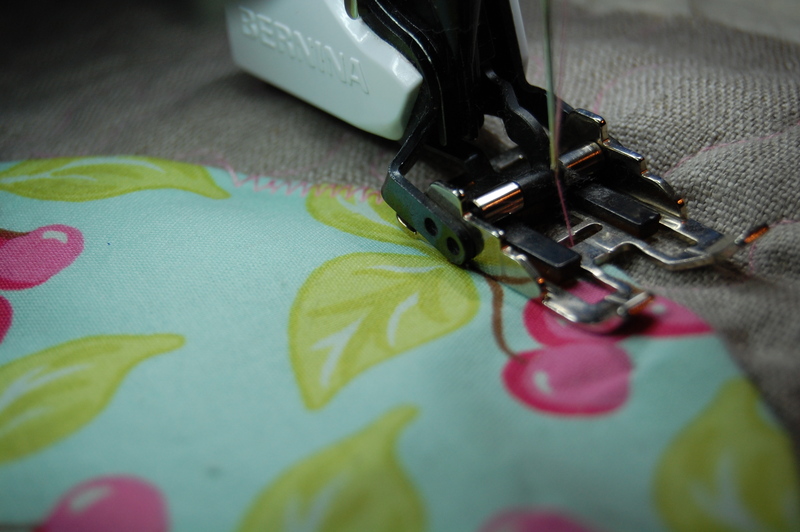 I am in the middle of making a table runner with circles and found you through a google search! 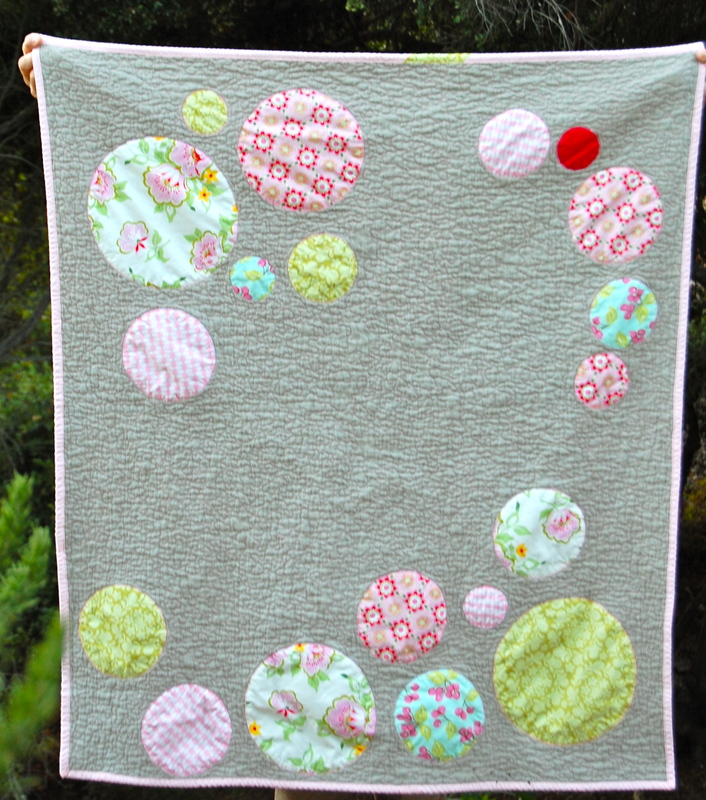 I love your baby quilt and think the circles look just fine. I went ahead and zig-zagged around my circles first but after reading your post the next time I will wait until I stitched the background. Thanks for sharing! 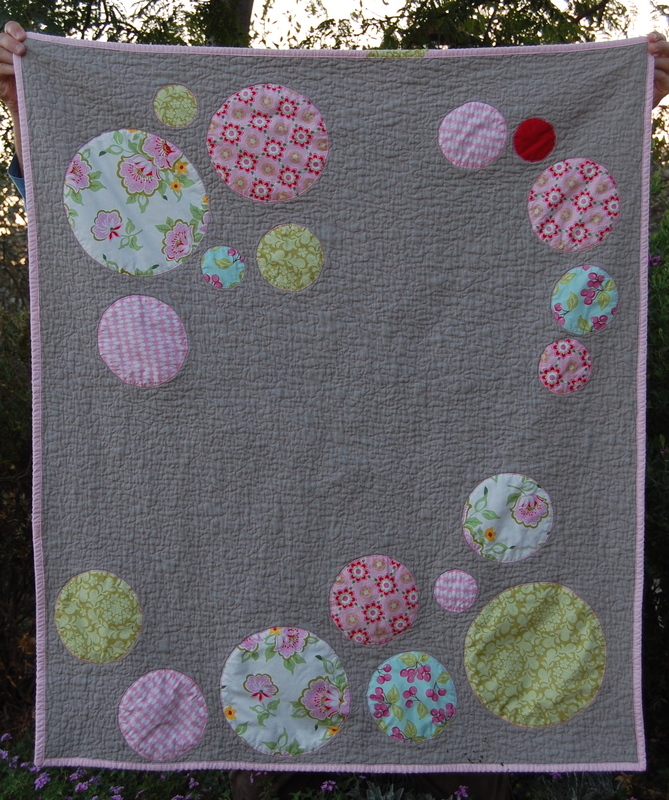 I’d love to know what sized circles you used as a reference point for a circle quilt experiment I’m working on for a baby shower gift! I used a variety of sizes for this quilt. The largest being the size of a medium dinner plate and the smallest the size of an average size drinking cup. I know that is a bit vague but that gives you some idea in order to estimate. Hope that helps! are you selling this quilt? I actually made this quilt as a gift for some friends and it has been well loved by their little girl for a few years now. So glad you like it! You can find my tutorial for how to create a similar quilt, under my tutorial section on the front page of my blog!